A new large, round conference room in ISS World was designed by Dissing + Weitling Architects. The facade is made of curved glass. 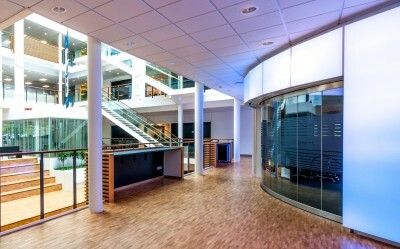 Art Andersen developed the drive system for the 4-meter long electrically operated glass sliding door which opens up wide – and invites to access the large conference room.